A happy cartoon worm wriggles through an apple in this free, printable math worksheet. 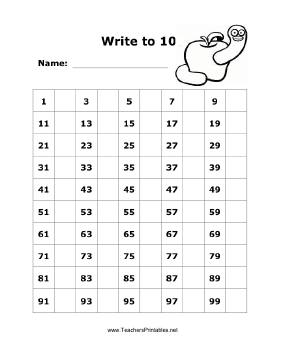 The grid provides all the odd numbers from 1 to 100, and students must fill in the even numbers. It is fun as a counting exercise.